Ski to the limit all day. Laugh at all those trudging to the bus or their cars as you ski to the door of your condo!!! 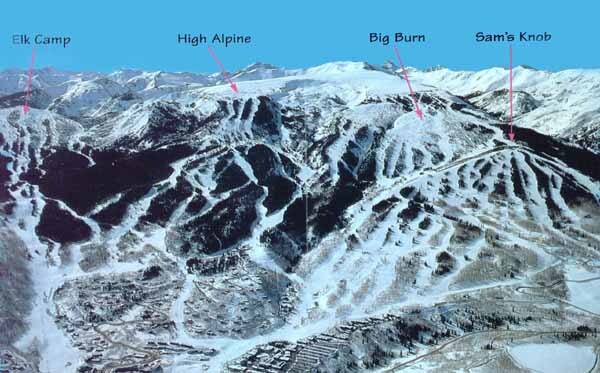 The Laurelwood is located in Snowmass Village -- only 10 miles from the town of Aspen. It is 15 minutes from Aspen's Pitkin County Airport (ASE), a 1.25 hour drive from Eagle County Airport (EGE), and 4 hours from Denver International Airport (DIA). Each unit offers a private balcony, fireplace and fully equipped kitchen. The Laurelwood provides all the comforts of home, as well as friendly service and prompt attention from the staff. Other amenities include daily maid service, laundry facilities, parking and use of heated pool and hot tubs. Tell them you saw Dave Jacobsen's Web Page!!! Our family has neighboring top floor units (114 & 115) for rent - both just remodeled. Each sleeps 4. 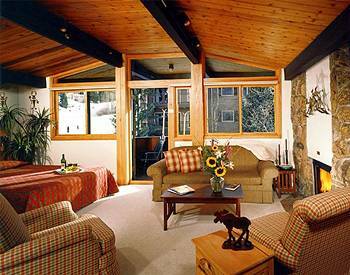 Each has a full kitchen, fireplace and balcony overlooking the mountainside. Rent one or both for a family or private get-away. If you book though us, we can save you a few dollars due to no travel agent fees! Send us an email: jake@visi.com or fax us for more information -- Fax: (952)461-4061 (970)923-5314. Copyright© 1995 Aspen Interactive Media, Inc.